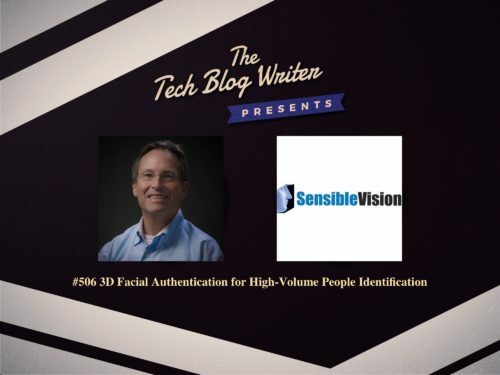 SensibleVision, a global developer of mobile biometric technologies, recently introduced 3DSafe, a rapid-screening approach that provides improved face authentication-based security leveraging patented AI-driven software. 3DSafe enables fast and accurate identification of people in high-volume, challenging settings such as border checkpoints, transportation access, POS transactions and office buildings. Work in-motion without the need for a person to carefully position their face to a camera. “Existing facial recognition tools are slow, cumbersome, expensive, and ultimately haven’t worked well enough to deliver quality results” – George Brostoff, CEO and co-founder of SensibleVision. 3DSafe leverages SensibleVision’s successful 15+ year track record of providing fast and secure identification solutions to a range of global 100 companies. By taking advantage of today’s advancements in AI and 3D face authentication, 3DSafe can quickly and accurately confirm the identity of people increasing security and convenience. George Brostoff is the CEO of SensibleVision, a leader in AI-driven 3D face recognition and authentication solutions. His company has been innovating in this field for over 12 years leveraging seven issued patents. I invited him on to the Tech Blog Writer Podcast to find out more. Having started three successful tech companies, Brostoff excels at building and leading teams to develop, launch, and grow companies into profitable enterprises. His experience includes defining and aligning corporate strategies, providing the vision to drive products from concept to production, developing & closing large multi-million customers and evangelizing & building “sizzle” around new technologies.